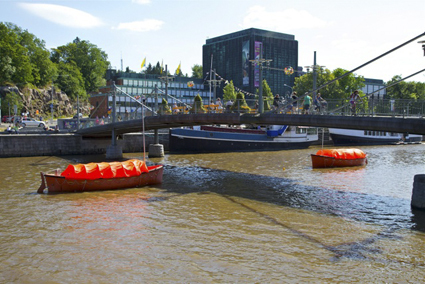 I was in Turku for three months in 2011 to make a major public sound work, two very orange sonic lifeboats moored either side of the main pedestrian bridge across the River Aura. In the summer you can lounge by it and in the winter skate along it! Turku (Åbo) Finland; Cold in Winter but Cool all Summer! A super serious, long-beard bikie dude glowers from the poster proclaiming “Kiss my Turku.” This is the way the city announces itself as the European Capital of Culture 2011, obviously the citizens have a sense of humour. Turku is the original capital of Finland established by the Swedes in the 13th century and still boasts a fine Swedish castle, now a wonderful museum. Like the castle, the Turku Cathedral is robust and massive, surrounded by elegant stone mansions and wooden courtyard houses. Despite what other Nordics say about the Swedes (that they are unimaginative and boring) I have always appreciated their sociability and capacity to dance on dinner tables whilst singing romantic tango numbers. Turku’s Swedish University seems to be upholding these traditions well and the old university quarter on the banks of the River Aura swarm with late night pique-niques, open air movies and throngs of cyclists. The capital moved from Turku to Helsinki in 1812 after Finland was annexed by the Russian Empire in 1809, hence the strong regional difference and keen rivalry between the two cities. However these days savvy Helsinki folks come to Turku for summer weekends as, frankly, the bars and restaurants are better, cheaper and more relaxed. 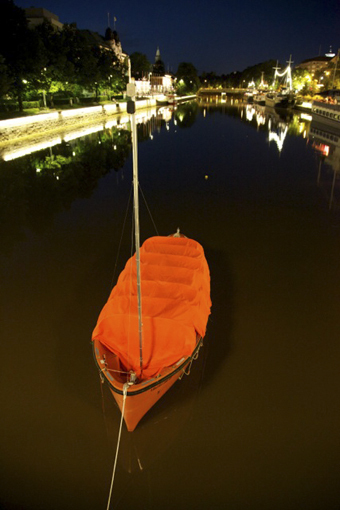 Turku’s river promenades and easy access to the stunningly beautiful archipelago make Helsinki feel somewhat claustrophobic. A famous Russian once lived in Turku. Uncle Vladimir (aka Lenin) worked here as a train driver, eventually taking his locomotive back to Russia just in time to start a revolution in 1917. There is a fine bronze bust of him near the superb Art Nouveau era Museum of Fine Arts. True to its word, Lenin’s revolutionary government granted Finland its independence, thus a new nation state emerged in 1917 as the homeland for an ancient people. So what do the Finns know about? Fish, berries, Koskenkorva, a lethal Finnish vodka; knives and cabin fever inspired knife fights; Sisu, a kind of true grit concept that helped them thrash the Russian Army in the Winter War; anti-heros a la Aki Kaurismaki; trees (there are lots of them); saunas (there are lots of them too); and contemporary culture which they support well and even seem to enjoy! Titanik an artist-run space on the river, the Aboa Vetus Ars Nova museum located in an old mansion also on the river and perched atop a medieval ruin, Manilla a contemporary theatre space, also on the river (get the idea) and the City Art Gallery (TaideMuseo) and Maritime Museum, naturally both on the river. The Maritime Museum has a very good yacht themed cafe with huge smorgasbord, and just alongside the Bore, a restored 1960s cruise liner, now repurposed as cheap accommodation, bars and café, well worth a visit. My favourite bars read: Apteekki an old pharmacy which serves a better type of medicine and is a hangout for artists and writers; Koulu, a massive repurposed traditional school house that now serves a better type of education and brews amazing berry ciders; and The Old Bank that now distributes a better type of currency, in the form of Lapin Kulta (Lapland Gold Beer). Well it is Europa, even better, Scandinavia and that means small organic cityscapes laced with cycle paths, regular high speed trains (Helsinki in two hours and Rovaniemi (the capital of Lapland) in 12. Better still Turku is the gateway to the Baltic and the extraordinary array of granite islands that form the archipelago which, more or less, extends all the way to Sweden. Regular ferries leave for the islands (crammed with cycle tourists, off to ride the Kings Way) and also for Stockholm which is a great overnight voyage. Dock workers can still commute on €19 flights to Gdansk in Poland which, like Turku, was once a major ship building port—Turku built the Russian Imperial Navy and Gdansk the German Imperial Navy. Eating smoked salmon, blackened whitefish, Baltic herring. 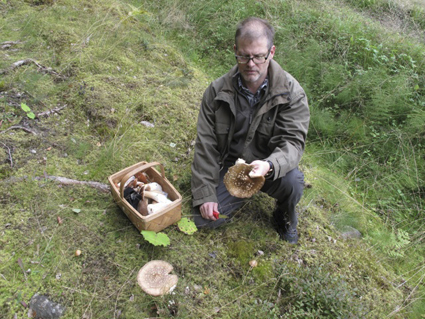 Heading off to the woods every weekend exercising our Everyman’s Rights to pick giant baskets of Chanterelle and Porcini Mushrooms along with litres of berries and barbecuing fish caught next to the Sauna (the Finns may well have invented the Sauna, but they also think they invented the barbecue!). 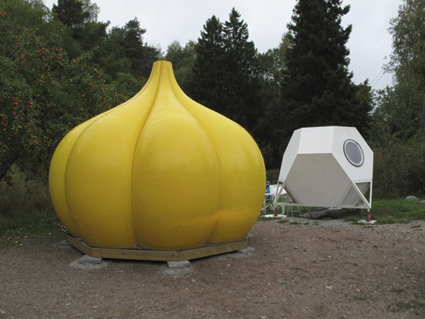 So think understated; ironic; poker faced; nature loving; dead drunk; design conscious; Harley riding—Kiss my Turku! 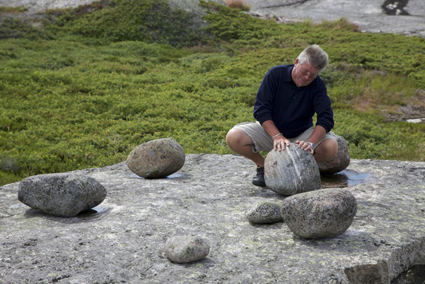 Nigel Helyer (a.k.a. Dr Sonique) is a Sydney based Sculptor and Sound Artist with an international reputation for his large-scale sonic installations, environmental sculpture works and new media projects.